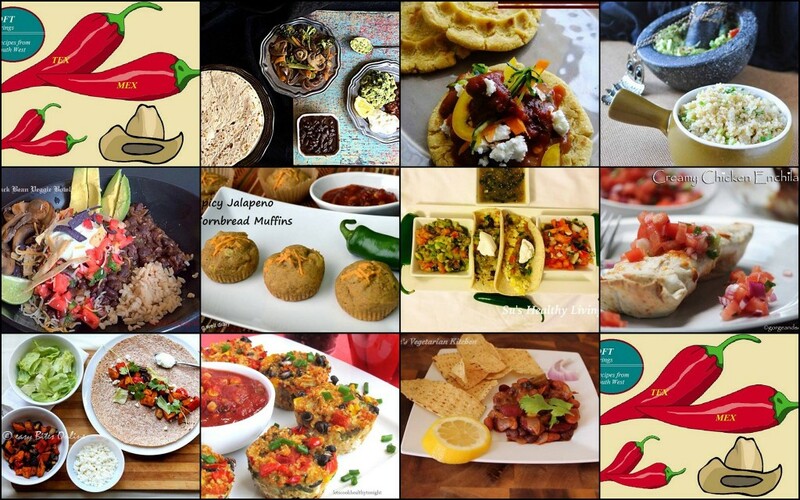 Diabetes Friendly Thursdays goes Mexican this week! I’ve always wanted to make cornbread, a spicy version. The “Mexican” theme for DFT this week gave me that opportunity, and I happily put on my baking hat! Corn meal or corn grits/ polenta is a coarse form. It is blue/yellow/white in color. It is a whole food; go for stone-ground cornmeal. 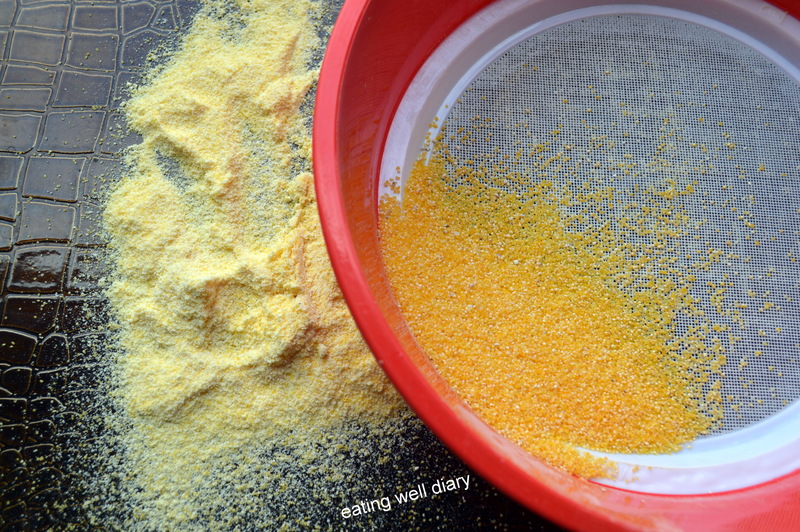 Corn flour is finely ground cornmeal. It appears white and is sometimes store bought versions are given an alkaline processing. Corn starch is just the starch portion of corn. Not a whole food. What I needed for making muffins was not very coarse cornmeal; that would be like making muffins out of broken wheat, the texture shows up in the baked good. I cannot use corn flour either, it is too fine and makes dense baked products. So I ground up some corn meal and sifted it for a uniform, medium texture. These whole grain cornbread muffins are the perfect diabetic friendly snack, very easy to make and delicious. This is the first time I’ve made a savory muffin and my family loved it! Packed with spice from jalapenos and onions, and just a hint of cheese on the top, we had a taste of Mexico at home. If jalapenos are not available, a pickled version can be used. The onions are just my own addition, not sure if it is added in authentic Mexican cornbread. 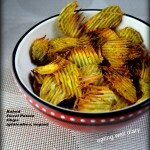 Since my kids do not like peppers, I had to introduce that flavor so that they liked it. And it worked! ground chia seeds- 1 tbsp. chopped and roasted jalapenos- 2 tbsp. 2. In a little bit of oil, roast chopped and de-seeded jalapenos. Set aside. 3. In a bowl, combine ground corn meal, oat flour and tapioca starch. Add baking soda, baking powder, gum, salt and chili powder. 4. Combine ground chia seeds with water and allow it to stand for 5 minutes. Combine it with the other wet ingredients. Add brown sugar, stir and then add the dry ingredients to this bowl. 5. Mix well, then stir in jalapenos and onions. Spoon batter into a muffin pan lined with cupcake liners. Sprinkle some cheddar cheese on each. 6. Bake for 28 minutes or till a knife inserted in the middle comes out dry. Cool and store in an airtight container. Sharing this at Swathi’s Hearth and Soul Blog Hop this week. 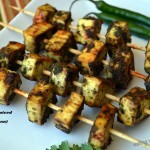 Also sharing at Deborah’s Plant Based Potluck Party Link Up #48. This sounds really exciting Apsara ! I have never tried cornbread at home but i do want to try ur muffins now. YUMMY ! Thank you, Prachi. These bite sized cornbread are a good start at baking savory muffins, at least for me! I’m very glad you like this, Parvathy. 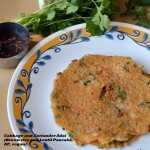 Loved the spicy cornbread Apsara! Amazingly done! Would love to try it sometime❤️. wow cornbread muffins that too spicy.. super innovative. Very glad you like this, Sri. These are super easy to make! Pingback: QUINOA AND BEAN BITES | LET'S COOK HEALTHY TONIGHT! Oh yes, these would be great for breakfast. Even I prefer spicy breakfast over a sweet one. Let me know if you make them! thanks, Vidya. Xanthan gum is a plant based gum that acts as a binder in baked goods in place of gluten from wheat. Apsara, this is superhealthy! Love the fact that it is vegan and GF!! Goes into my “to try” list! Sure, Suchitra. This is quite easy. Hope you give it a try! 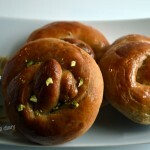 Your pictures are fabulous and really make me want to try this recipe! 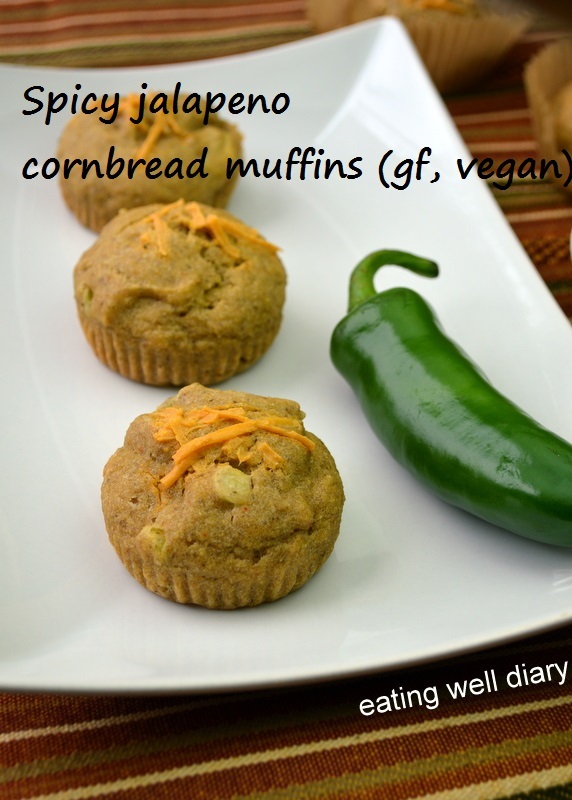 I’m a huge fan of corn muffins AND jalapenos and I’m thinking these would go perfect with a nice bowl of veggie chili! That is a wonderful way to have these cornbread muffins, Jen. Thanks for visiting and the comment. I love your blog too. Hope to see you often. thank you so much for visiting, Nancy. Hope you try this recipe. Glad to connect with like-minded bloggers. I’m off to see your site now! Thank you for the opportunity, Swathi. Glad you like them. How delectable! 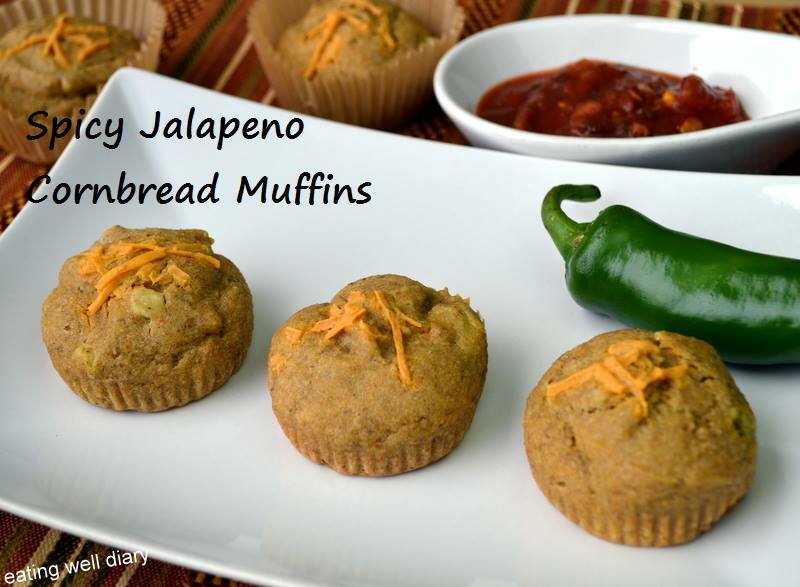 Adding jalapeno to corn muffins really takes the flavor up a notch! 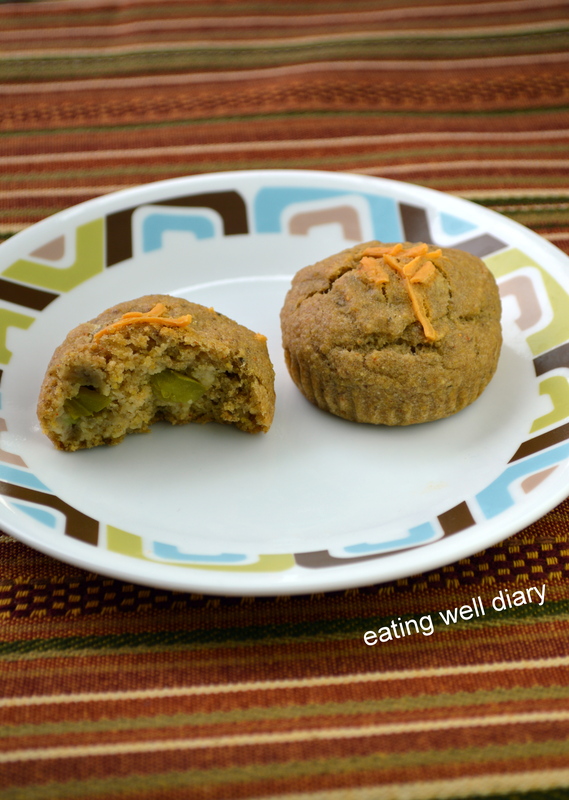 I am delighted that you shared your healthy and delicious Spicy Jalapeno Cornbread Muffins with us on the Plant-Based Potluck Party Link Up. I appreciate it and I can’t wait to try your recipe. I’m pinning and sharing. Thank you so much for featuring it and sharing it in media, this week. I’m lucky!